Post flags (None, Safety, Deficiency). Important Note: For projects created after 1/16/2018, you’ll also be able to adjust your report to include posts flagged as RFI or Submittal. Post info - including Locations, Categories, and Unread. Posted and updated - who the post was sent to or posted by and when the post was created and last updated. 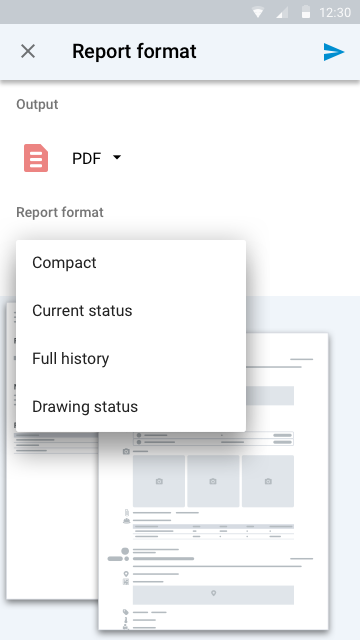 To create a PDF report from your iOS or Android device, click the paper icon in the upper right of your Feed. 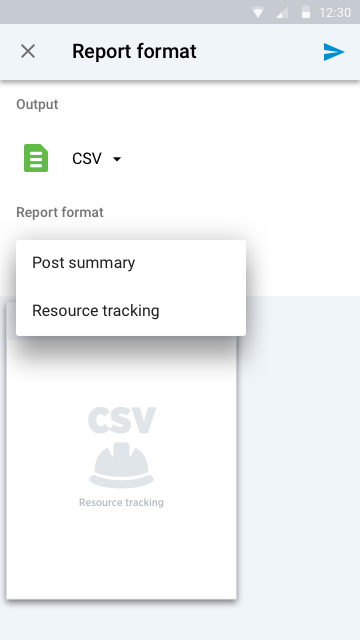 Once in the Export report panel, you’ll be able to modify and customize your report - whether you’re creating dailies, meeting minute reports, or documenting change orders. Everything - all the posts currently in your feed. Daily Report - everything you and your team has posted that day. Punch list - posts marked as deficiency. Safety report - posts with safety flags. Custom filters - any filters you have created and saved. Tap Details to add a title and the user names or email address of any person you’d like to share the report with. You can also add a project code or additional notes to capture any important info that's not included in your posts. 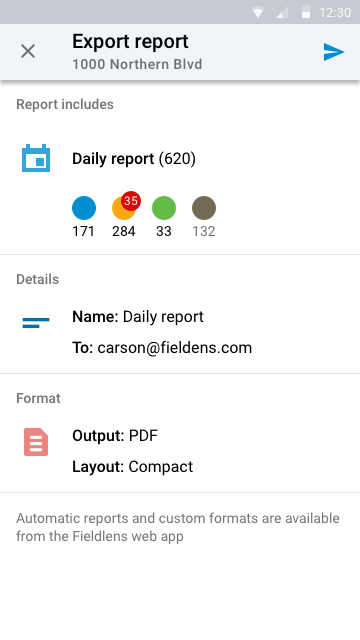 To select your report's output and layout, tap into the Format section. Once here, you can choose to create your report as either a PDF or CSV. You can also select CSV format from the Output dropdown and choose either Post Summary or Resource Tracking. Hit Send to email a report of those posts to yourself -- and anyone you shared it with.